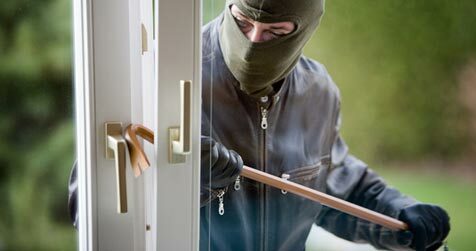 Burglary is the crime of entering a business, home, automobile, or other property with the intent to commit a crime. Under Oklahoma criminal law, felony burglary is classified as either first-degree burglary or second-degree burglary. First degree burglary is defined as breaking and entering into the occupied home of another with the intent to commit a crime. Second-degree burglary is defined as breaking and entering into a building, car, automobile, truck, or other structure in which property is kept, with the intent to steal or commit any felony. Misdemeanor burglary, also known as breaking and entering, is defined as entering the premises or dwelling of another without permission from the owner or occupant. 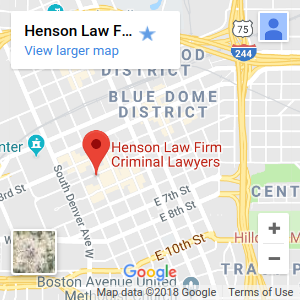 If you or a family member has been charged with burglary, it is important that you speak with a Tulsa Oklahoma burglary defense lawyer at the Henson Law Firm as soon as possible. The prosecution has no tolerance for burglary crimes, and they will prosecute you to the fullest extent of Oklahoma law. You need a Tulsa burglary lawyer to aggressively represent you throughout the criminal process and fight the accusations of the prosecution. First-degree burglary carries a minimum of seven years and a maximum of twenty years in prison and a $10,000 fine. Furthermore, first-degree burglary is an 85% crime, meaning the offender must serve 85% of the sentence imposed before becoming eligible for parole. Prosecutors almost always demand prison time for first-degree burglary. Second-degree burglary carries a minimum of two years and a maximum of seven years in prison as well as a $10,000 fine. Misdemeanor breaking and entering is punishable by up to one year in jail and a $1,000 fine. In addition to incarceration and fines, anyone found guilty of burglary could also face lengthy probation, many community service hours, restitution to the victim, and a permanent mark on their criminal record. When you are facing burglary charges in Oklahoma, the best way to fight your criminal charges and protect your freedom is to hire a Tulsa burglary lawyer to defend you. We can protect your rights and stand up to the prosecution. We will thoroughly investigate the circumstances surrounding your case in order to present a strong defense based on the facts and the evidence. We are committed to fighting your charges and doing whatever is necessary to protect your freedom and help you avoid a burglary conviction. Burglary arrest? Contact a Tulsa burglary lawyer at the Henson Law Firm today!